Half-Moon Bay – Montara: Coastside Vipassana: Wednesdays, 7:00 – 8:30 pm. Point Montara Hostel in Montara, 7 miles north of Half Moon Bay. Los Gatos: Los Gatos Insight Meditation meets at YogaSource, 16185 Los Gatos Blvd (drop-in). Kim Allen. Modesto Drop-In Meditation Group with Lori Wong, Sunday afternoons 11:30am – 1:00pm and Tuesday evenings 6:30-8:30pm in Modesto, see website for location and more info. Mountain View: Insight Meditation South Bay: Tuesdays, 7:30 – 9:00 pm. Principal teacher is Shaila Catherine. Meets at Edwards Hall of St. Timothy’s Episcopal Church, 2094 Grant Road, Mountain View. San Jose Sangha: Wednesdays, 7:30 – 9:00 pm. 1041 Morse Street, San Jose. Bloom of the Present is guided by teacher Carla Brennan. In Santa Cruz, Felton and Capitola. 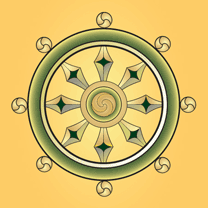 Saratoga: Insight Meditation South Bay: Thursdays, 7:15 – 9:00 pm. Principal teacher is Shaila Catherine. Meets at Westhope Presbyterian Church, 12850 Saratoga Avenue.